If there is one word that epitomizes the spirit of the Tawdry Knickers project and the entire notion of “unfortunate ways to be remembered” it is surely guillotine—namesake of Joseph-Ignace Guillotin, who died on March 26, 1814. It is a historical tragedy that with such humanitarian intentions, he is doomed to association with so macabre a device. Pity this poor Frenchman today, and hold out hope that your own neck and legacy might remain intact. 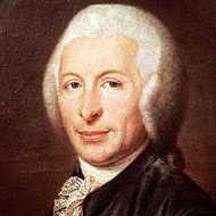 Despite not supporting the death penalty, not advocating public executions, and not himself dying under the blade of his namesake, Joseph-Ignace Guillotin will forever be associated with the sanguinary symbol of the French Reign of Terror. The historical parade of torture paraphernalia would seem to support novelist Joseph Conrad’s assertion that “Man is a cruel animal. His cruelty must be organized.” In eighteenth-century France, popular execution methods included the breaking wheel, burning at the stake, hanging, and beheading. The speed with which prisoners died usually depended on social status, with the well-to-do able to bribe executioners to sharpen their ax and the lower classes dying of strangulation at the end of a noose or suffering multiple whacks from a dull blade. Following the start of the French Revolution in 1789, the newly formed National Assembly decided that “Égalité!” applied to death row as well—that is, that all classes of condemned prisoners should be treated the same and that the death penalty need not also be the pain penalty. A crack team of consultants convened to review available options, among them surgeon Antoine Louis and professor of anatomy Joseph-Ignace Guillotin (who was also part of the committee five years earlier to decide if Franz Anton Mesmer was a blooming crackpot—see mesmerize). They studied existing beheading devices (including the mannaia of Italy, the Halifax Gibbet of England, and Morton’s Maiden of Scotland) and finally designed a suitably French version, complete with an elegantly angled blade. The prototype head-lopper was originally called a louisette in honor of the good surgeon Louis, but after Guillotin passionately lobbied for a more humane alternative to hanging during a debate on capital punishment, a royalist journal called Les Actes des Apôtres wrote and published a catchy song mocking the efforts of Guillotin (and his supporters) and asserting “his hand suddenly makes the machine that will kill us ‘simply’ and that we will call the Guillotine!”—thus sealing his eponymic fate. During the Reign of Terror (1793–94) thousands were guillotined, including Louis XVI and Marie Antoinette. In the century that followed, its use spread around the world. Even Adolf Hitler was impressed with its speed and efficiency, and it is estimated that more than fifteen thousand German convicts lost their heads between 1933 and 1945. The last public execution by “the National Razor” in France was in 1939, but loppings continued in private through 1977, and the guillotine remained on the books as the official method of execution until the death penalty was abolished in France in 1981. 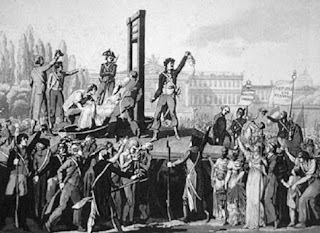 Guillotin himself died of natural causes in Paris in 1814, but his lamentable legacy with “Madame Guillotine” did not. His children spent many ensuing years unsuccessfully petitioning the French government to formally change the name of the device before eventually changing their own names instead.